1) Gel Grips - this always helps. I honestly don't think it matters the brand. The stock grips are thin. A good set of gel grips should be a little thinker. 2) Motivation Heavy Bar Ends for an Aprilia RSV4. You have to order them from the af1racing.com site. Yes they fit. These may not be necessary but heavy barends will always work for most vibration issues. Now normally on any regular cycle, you would be done. The grips and the bar ends is plenty, but not the 1299. 3) Sato racing bar end inner weight. They are twenty bucks and you need to source a longer bolt so it attaches the Motivation bar end, the insert and the inner weight. In another post someone mentioned a truss bar through the clip on would stiffen them and thus make it vibrate less, so I tried it. 4) Flat and small bar ends. I got the flat Sato racing ones because they are small, but you can use what you like to hold the long bolt on the inner part of the clip on. 5) Sato Racing inner weights. These serve two purposes. The first adds a little weight to the bar end. The second is they are long and it reduced the length of the bolt. 6) A long bolt. Mine was 140mm long. You have to pull the pin that holds the levers in place. They have plenty of clapping force, just torque them right. The picture below shows all that I bought. Remove your levers and pull the pin. Attach the Motivation bar ends and the Sato racing weight using the adapter and you will need a longer bolt. It needs to be about 10mm longer. The one Motivation send does not extend through the adapter. Once the barend, the adapter and inner weight are connected (hand right is plenty) install them and make this one hand tight as well. You don't need torque because it will be held by the other end. 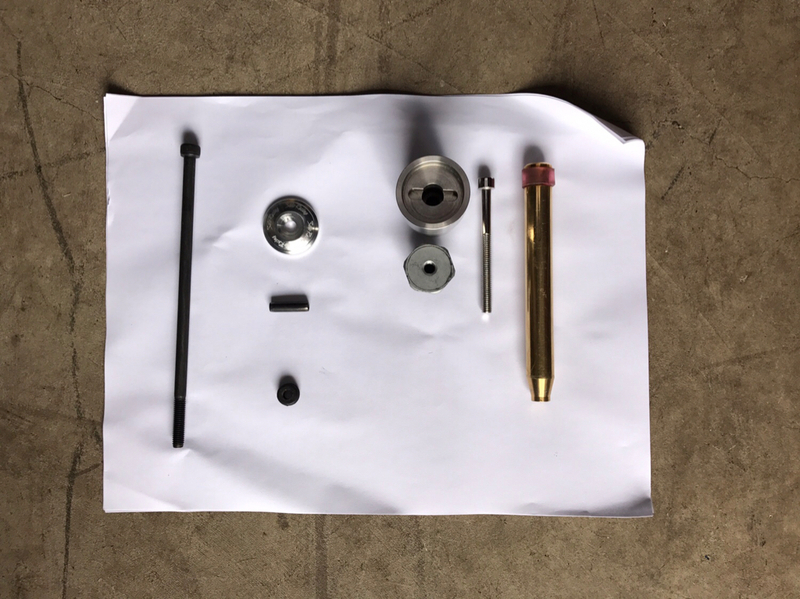 Take the long bolt, put it through the flat bar end, pull the inner clip on cap and out the bolt in and screw it into the other end of the Sato inner weight. Torque it down to the max, 10 to 12 foot pounds. Any more you might strip it. Alternative: One could drill a hole in the stock bar ends and tap it to say an M10 and get a longer M10 bolt and probably achieve the same result. You would just need something to hold the bolt on the inner part of the clip on. Flame on, but this turned a bike that wore out my hands in 30 minutes to something I can ride all day. Here's what the bar ends look like. Last edited by AmpForE; Oct 26th 2017 at 10:07 PM. No flames from me, I'll do that after I sort all my other jobs. Thanks for detailing and image. How they sell this thing in Europe without a HAVS cert is beyond me! However, I've always just got on with it. Just out of curiosity, how does this affect the handling? I have not noticed a difference in handling or steering effort. Wonder what the serious racing type will say? The ones who are drilling out bolts, replacing parts with weight reducing carbon....the guys who get a woodie when they claw back like 3 grams. My solution would just be thicker winter gloves. Did a roadtrip, over 1000km's over 2 days and it took hours before my hands started feeling abit of numbness. Bought that universal throttle lock (cruise control as they say) prior to the trip and i really didnt need it. Racing gloves on the other hand, id last only 20-30mins before id have to let go of the throttle. 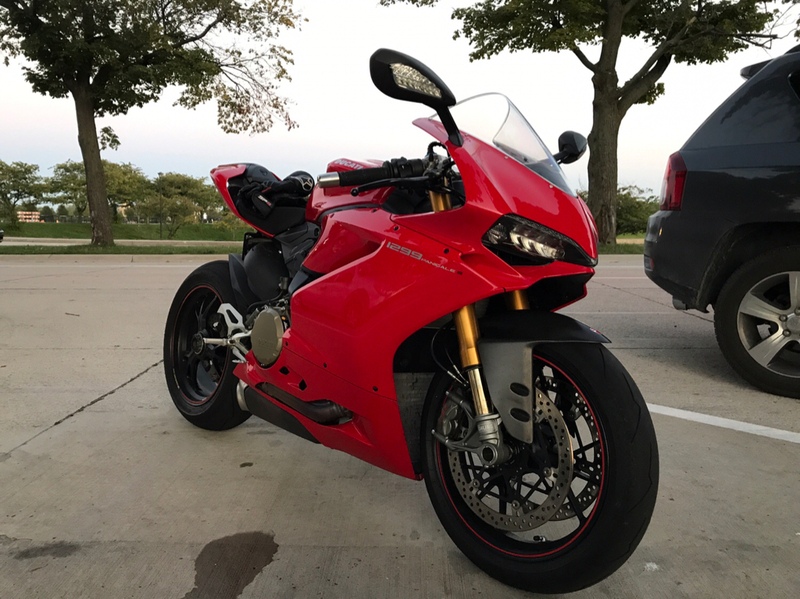 I have an 1199 that I never notice vibration in the handlebars. Is this a 1299 thing or am I just immune from feeling it? Did someone just say "saved 3 grams" I just got a woodie. I think Gecko will chime in on Captain Greg's comments.